They invaded our world on the big screen and after having scared us, they finally get revealed! 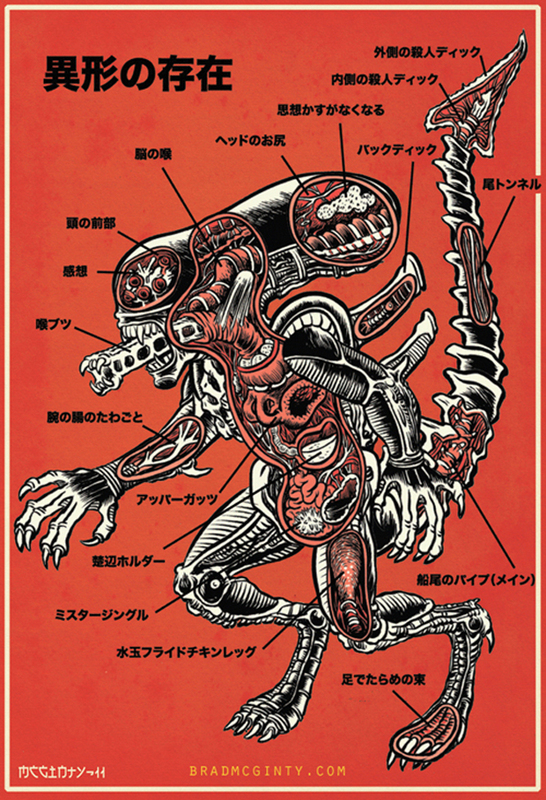 Through a series of illustrations the artist Brad McGinty shows us the anatomy of these monsters. 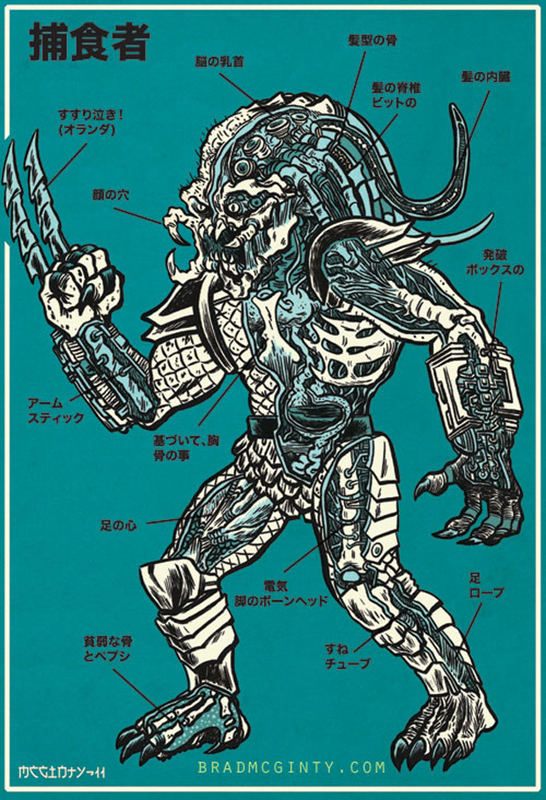 Have you ever wondered what is Predator hiding under his armor? 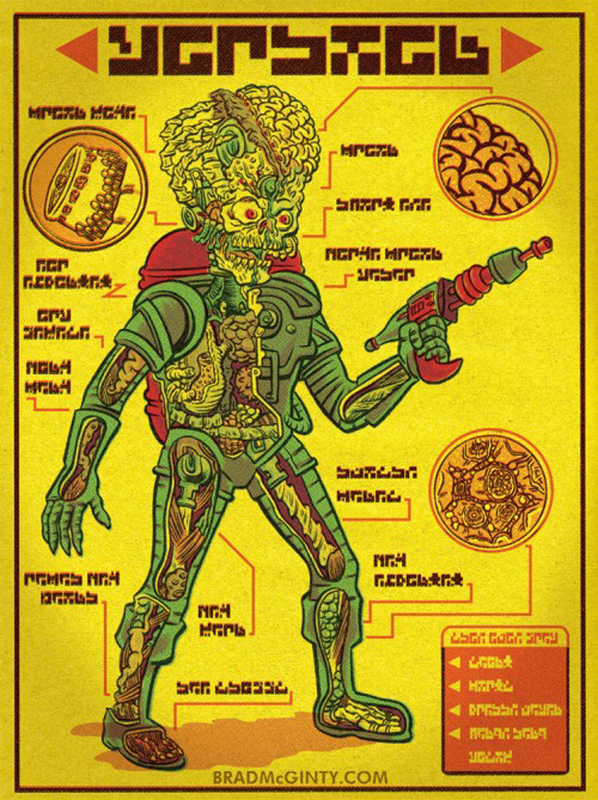 Why the aliens of Mars Attack have such an intimdating look? The illustrations of the comic writer Brad McGinty try to answer these questions. The choice of colors and appearance of the illustrations give them a particularly interesting and admirable look. Which one of these pictures did you find more close to the reality?